Jiwon is using Smore newsletters to spread the word online. 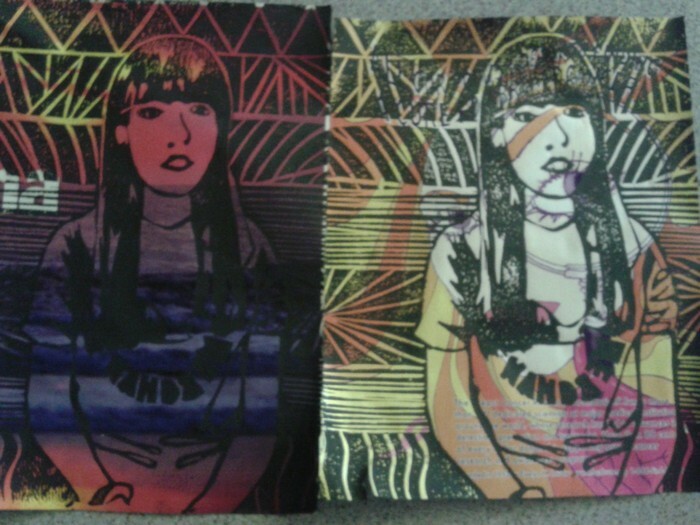 These are the two prints that I have done with black ink; I like these two prints the most because the background and the color collaborate well together. The background of my Carving Mat can be seen as the design where sun is rising; the warm gradation of the magazines create the season of "summer." After you are done with everything, start carving! 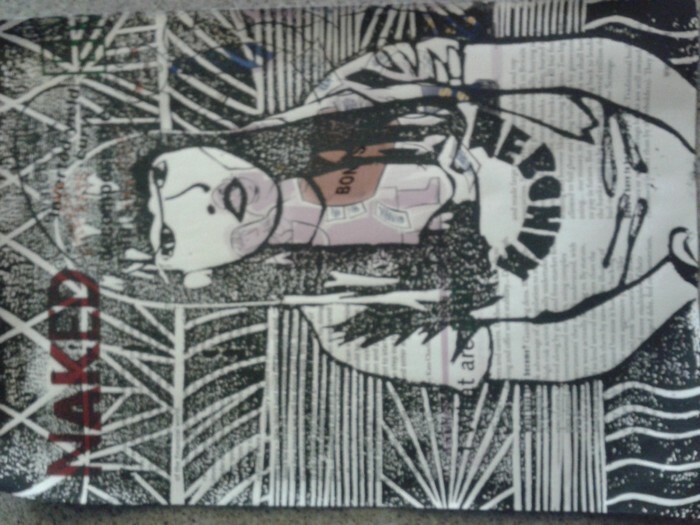 Once you have carved all of the white spaces, you should get black ink. 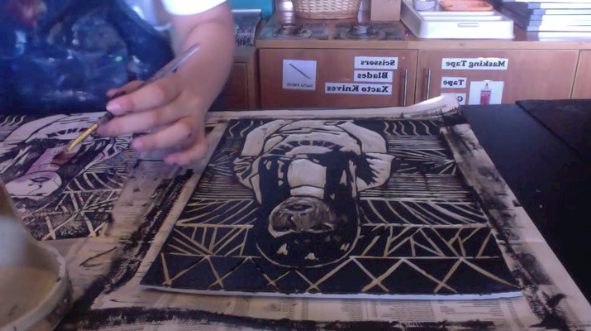 Spread the black ink with the roller, and then spread the ink to the Carving Mat. 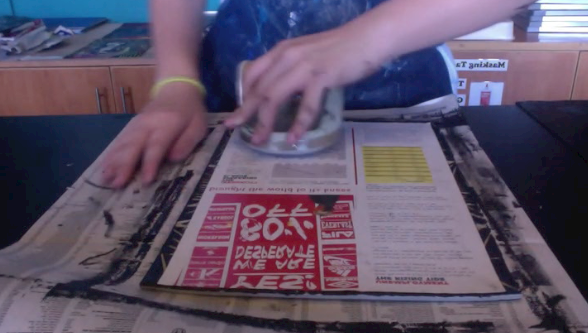 After spreading the ink, get a piece of newspaper/magazine/paper in order to match the paper to the Carving Mat. 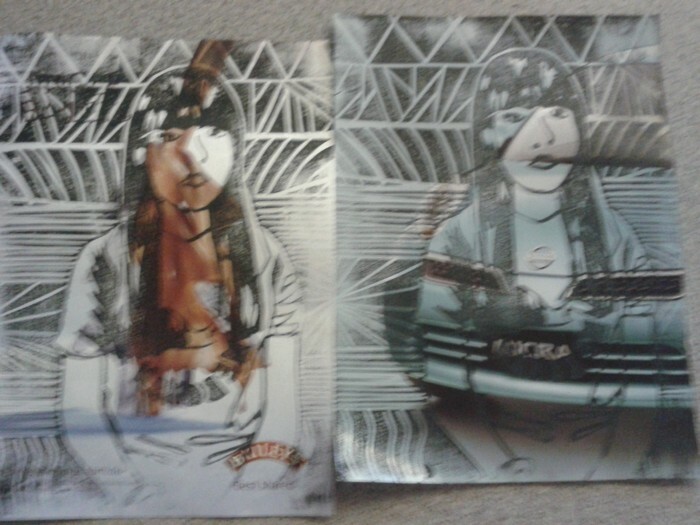 Prints done with black ink! 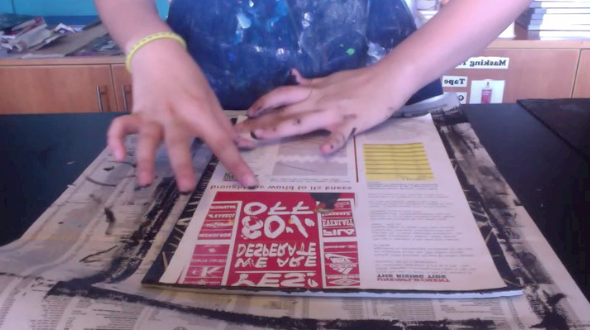 Prints created through black ink! The background and the design create the season of "summer." 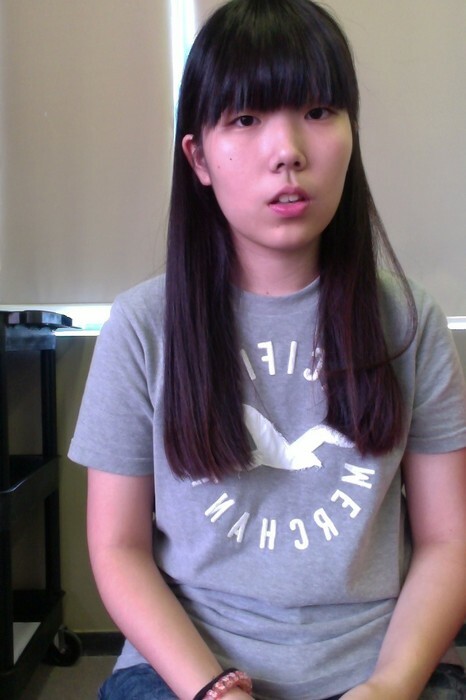 In order to do this project, you should first select a picture of yourself. After that, you should print it out in an A4 size paper (black and white). Once you selected your picture, print 2 or more copies of the original picture (black and white). 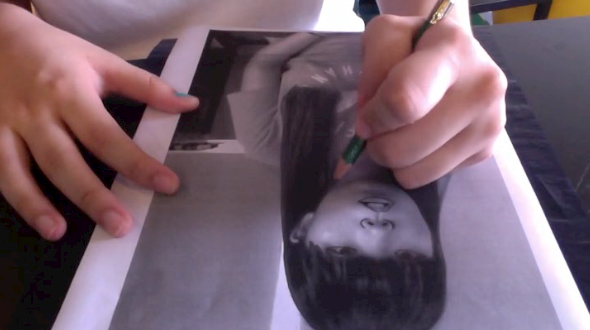 Afterwards, you should trace and outline the whole picture; you need to shade in black parts of the drawing. 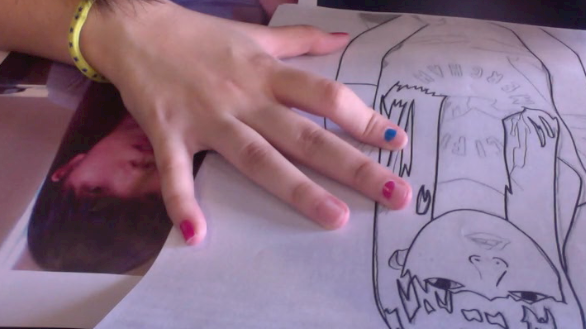 Once you outlined the picture with pencil, you should outline it again with a Sharpie Marker. Make sure you don't put much pressure because the marker may spread. Once you have outlined the picture with a Sharpie, you should get a white tracing paper above the original picture. You should control the parts together so that it won't fall. You should trace the lines again just like the one step you did before. 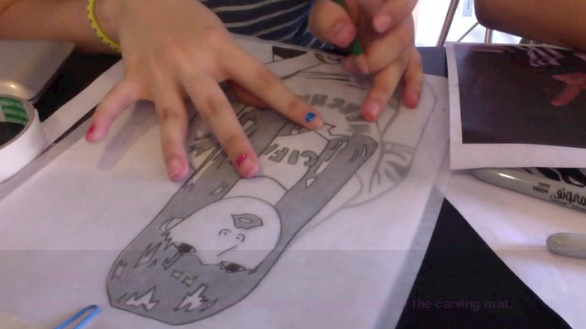 You should flip the paper you drew when you trace it to the Carving Mat. The reason for this is because when you print, the picture has to come out in the original form. Once you flip the paper, make sure you trace it again with a Sharpie Marker. Don't press it too hard since the colors and spread and go deeply inside. 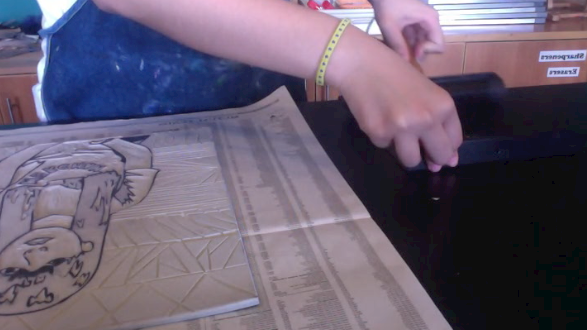 Here comes the fun part- Carving! 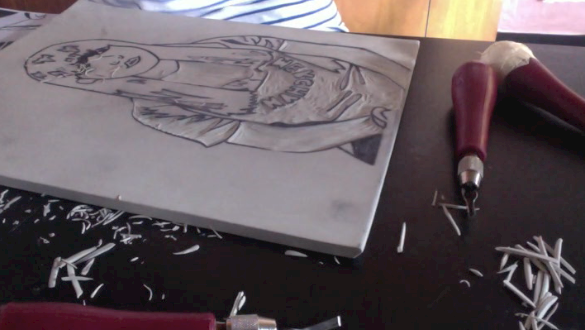 Once you outlined the whole carving mat, you should start carving. There are different carving materials (1~5, where 1 being the thinnest and 5 being the deepest), so you should use the materials wisely. Make sure you don't carve the black part; you should only carve the white space you created! Once you are done with carving, you will now begin with printing the pictures- you should get a roller, black ink, and a handler. 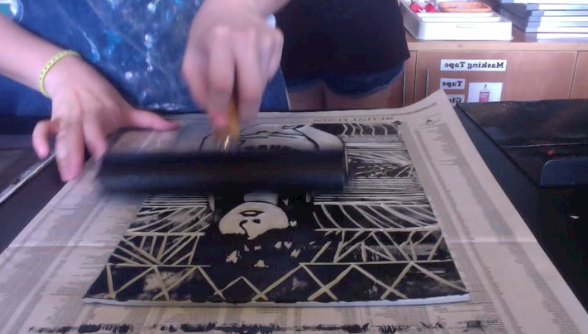 When there is enough black ink in the roller, you should spread the roller to the Carving Mat. Roll, Roll, and Roll! Roll it until the whole Carving Mat is covered with black ink. Make sure you can see the lines so that it could create a clear print. 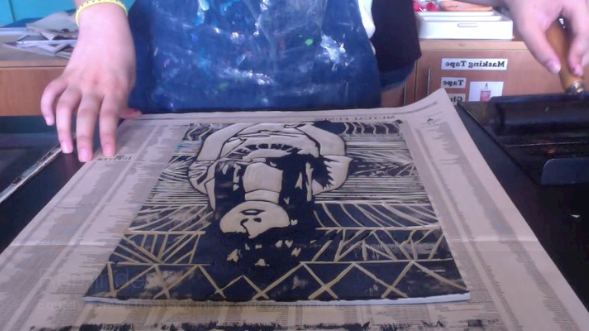 Don't put too much ink to the Carving Mat because that may create a big clump of ink on one spot of the mat. When you are finished with rolling, the Carving Mat should have black ink all over the un-carved area. Make sure you it is clean and clear.